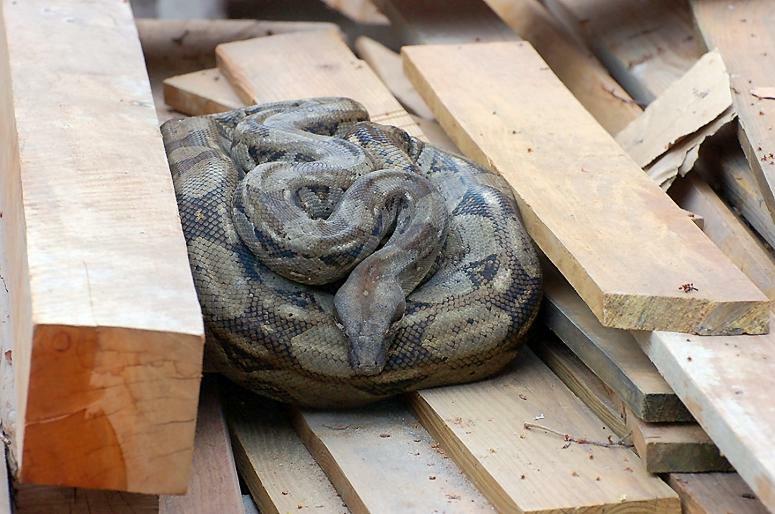 1) A very pissed off boa constrictor in slough. He's been disturbed by our dogs. 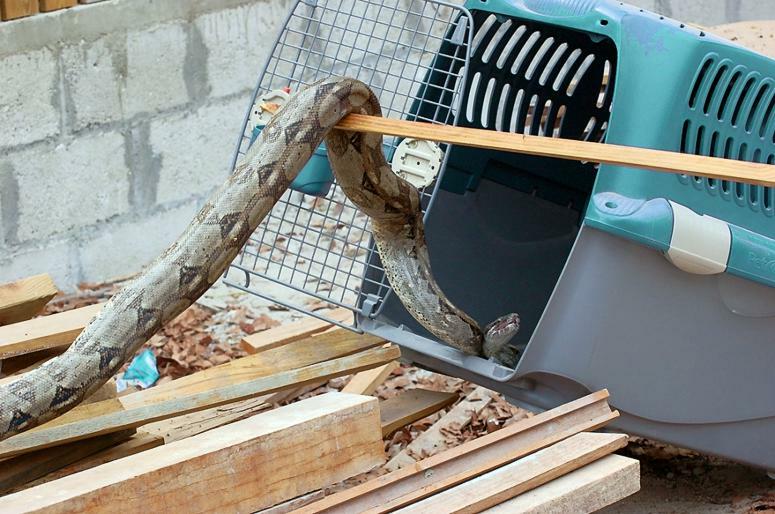 2) Me getting the snake into a box for relocation. 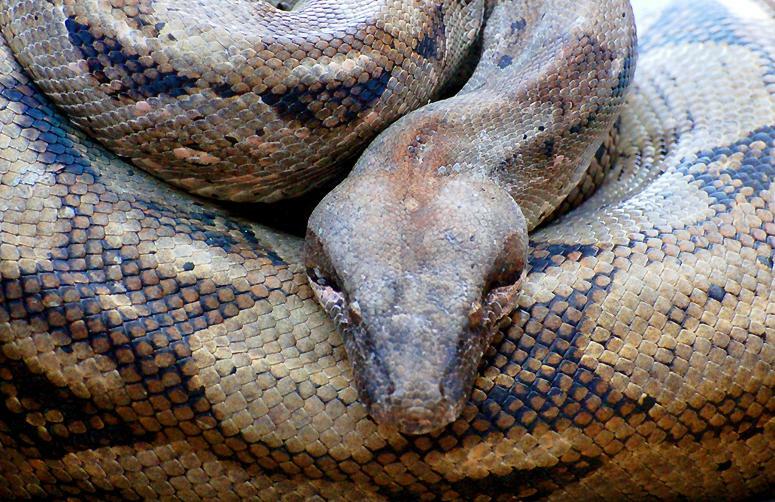 3) This boa is virtually blind right now because of the slough. Makes it look rather eerie.